For just over two years, Gunther Hahn has served as Head of the Digital and E-Business in the E-Commerce sector of Saint-Gobain Building Distribution Deutschland (SGBDD) and is dedicated to driving the concept of digitalisation forward within the 5.000-employee-strong company.” I am completely convinced that SGBDD will be one of the companies to compete successfully with rivals such as Amazon, etc.” Axel Helbig, CEO of for​you​and​your​cus​tom​ers Essen, asserts. SGBDD is a for​you​and​your​cus​tom​ers client, and collaborates to implement microservices as a solution that allows the challenges of the digital transition to be overcome. 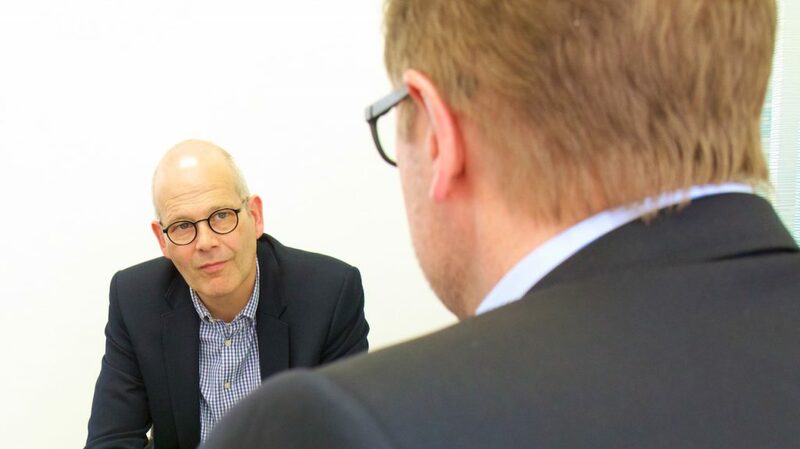 In an interview with Axel Helbig, Gunther Hahn spoke about the development of the building distribution company, giving an insight into the current situation and the difficulties that the digital transition brings with it for the company with its 11 retail brands and an annual turnover in Germany of approximately 2 billion euros (as of 2016). “In the field of digitalisation, we’re still just getting started,” Gunther Hahn tells us in an open and honest way at the start of the meeting at the foryouandyourcustomers location in Düsseldorf. Axel Helbig: Gunther Hahn, you said that you are still just getting started in terms of digitalisation within your company. How would you rate the degree of digitalisation at SGBDD compared to Saint-Gobain as a whole? Gunther Hahn: Looking at our industry, the construction materials trade is generally still rather conservative. However, if we compare SGBDD internally with other subsidiaries of the Saint-Gobain Group, including several industrial brands, then we’re quite far ahead, possibly even at the forefront. Axel Helbig: With support from foryouandyourcustomers, you are now intensively driving digitalisation processes forward within your company. How would you rate your current level of development in the field of online business compared to your competitors, and where do you see the construction materials trade in the overall e-commerce market? 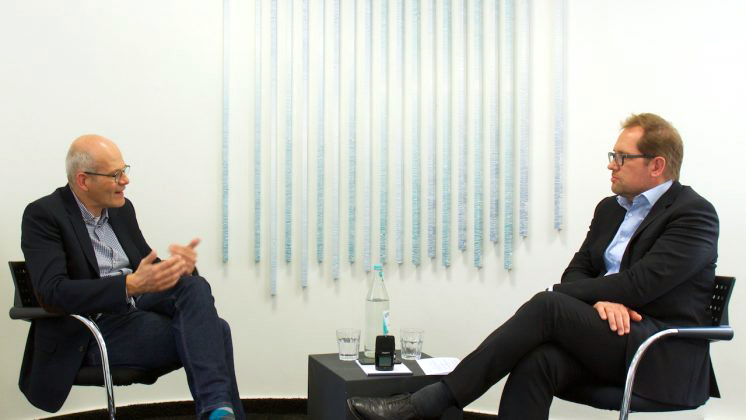 Gunther Hahn: We know that there are companies such as Zalando, Amazon, and REWE, who work in a highly modern and professional way. We currently have yet to reach that stage in terms of digitalisation. There is still a long road ahead of us if we wish to turn our business in to the best possible digital business. The infrastructure and organisational matters must be adapted and the processes must be prepared correspondingly. This is a big undertaking. If we measure ourselves against classic construction materials distributors, then we’re not doing too badly. I would even say that we are more than capable of competing. However, the new entrants to the market are hard to judge. Here, I’m talking about companies like Amazon, whose business model, company objectives, and market penetration are difficult for us to assess. In addition, many other international companies, including American companies facing increasingly harsh market conditions and hoping to branch out into Europe and Germany, are joining forces to address their target customers in a precise way to increase both their market presence and their sales figures. Axel Helbig: You talked about Google, Amazon, Facebook, and Apple (GAFA). Do you see a bigger threat coming from pure player companies, or is it the existing competitors that are facing the same challenges as yourselves? Can their level of competitiveness be compared or are we talking about completely different situations here? Gunther Hahn: There are some additional criteria that you didn’t mention here. For example, there are construction retailers that are now also targeting business customers, and the vertical markets can’t be forgotten either, like with Bosch, for example. Here too, there are now direct B2C sales taking place, which didn’t used to be the case. Therefore, I see the challenge for us to be that the building distribution sector is one that may indeed have high revenue, but the rate of return on products suitable for online sales is lower than with the renowned players in the fashion or electronics sectors. To summarise: individual companies clearly pose no threat to us, however the digitalisation and disruption of the market as a whole certainly does. Axel Helbig: You have discussed an expansion of the company’s value chain, which is becoming increasingly important in expanding the range of services offered. What role does this idea play in your multi-channel strategy? 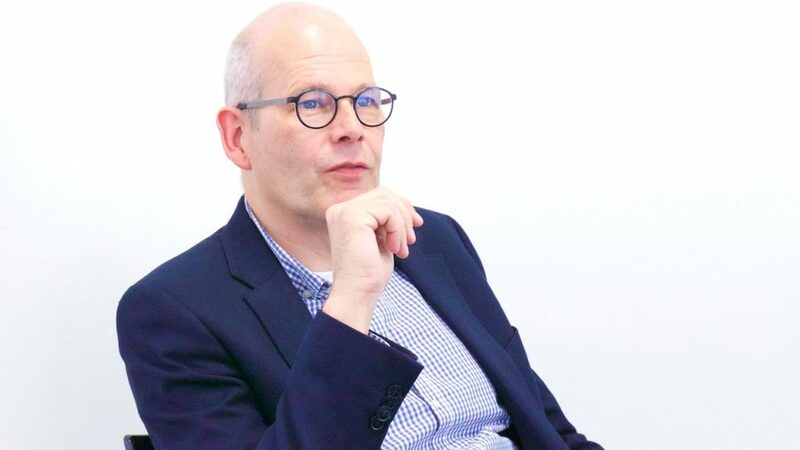 Gunther Hahn: There are services related to the product, and at some point there will be services related to the sales funnel and customer journey as well. All of these are crucial and will also be considered in our strategy. According to our assessment, we currently see two options for positioning ourselves: offering excellent service or attracting customers by emotional means. And if I ask myself how you can use emotional means to sell gypsum board, it’s extremely difficult to find an answer. Axel Helbig: Are you facing a mammoth task with respect to the size of your company? Gunther Hahn: In the e-commerce sector, most of the outstanding tasks are mammoth tasks. At the moment, we are a large company in a period of great change, and of course, that itself involves undertaking some mammoth tasks. We have to ask ourselves what the best-case scenario would look like for SGBDD, how best to create the infrastructure and organisation required to be able to tackle such tasks. Axel Helbig: During your presentation at our Business Breakfast on the topic of digitalisation, you spoke of new beginnings for Saint-Gobain. What exactly did you mean by that? Gunther Hahn: The term ‘new beginnings’ relates to my presentation “Now it’s getting started here in the building materials trade”. And this “now it’s getting started” can be attributed to a specific date. This was around a year and a half ago. Up until this point, there had been smaller commitments with equally small start-ups. We mustn’t forget that our online shop is already 15 years old, and we have continually assessed the successes and sales that transpired there. For a year and a half now, we have observed an increasing rate of growth. Of course, we are delighted by these figures, however there is still a lot to do to keep the growth going. This includes rethinking, even abandoning, old structures and establishing new structures within our organisation. Axel Helbig: Could you please give us an example? 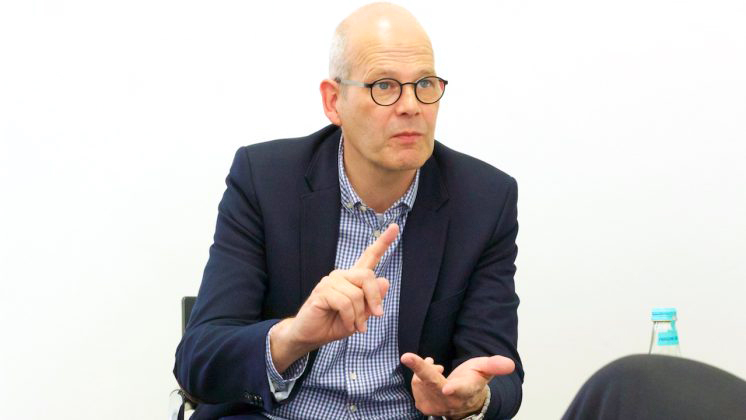 Gunther Hahn: I would like to quote Thorsten Dirks, CEO of Telefónica Deutschland AG: “If you digitalise a crap process, then you’ll end up with a crap digital process.” It’s also about the matter of how we handle failures. We are entering the era of digitalisation. We talk about being agile, we talk about microservices, independent teams, and delegating responsibilities to the team, and here it’s also crucial to allow for failure. Even when we may have a simple approach to certain topics, the persons responsible must be in a position to scrutinise the existing structures. Mistakes have been made. However, there’s no criticism, as the mistakes that haven’t been made are even worse for us, because then we have nothing to learn from. We have learned from our failures. Axel Helbig: What tasks will be involved in relation to the microservices you spoke of? Gunther Hahn: Microservices are one of many possible solutions. For me, digitalisation means disengaging from the conventional strategy: “We now exclusively operate an online shop.” Because digitalisation affects the entire company, all business dealings, and also affects the offline world. With our strategy, we are trying to separate the functionality from the channel. 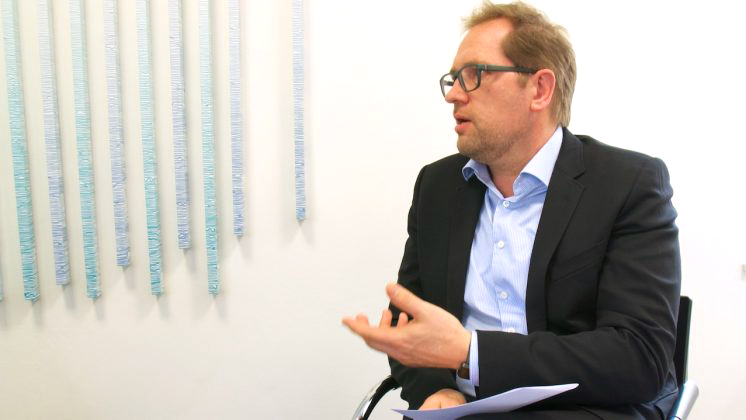 Axel Helbig: What role do you expect foryouandyourcustomers to play in this process? Gunther Hahn: You will provide consultation, you will moderate the change process when introducing or implementing a proof of concept for introducing microservices as a potential future strategy for SGBDD. Axel Helbig: The topic of microservices and the structure that is currently emerging will offer informational logistics in addition to classic logistics. What challenges do you envision in now establishing this logistical framework by yourselves or with the support of foryouandyourcustomers? Gunther Hahn: The first and most important step is adequately preparing the organisation, so that we can even attempt to tackle a task of this magnitude. This will also involve finding an answer to the question of where the topic of digitalisation has established itself. Is it in General Management, in IT, or is it a topic for Distribution or Purchasing? These are the matters to be discussed, and the retail trade shows us that there is no one right answer. ere are manufacturers and distributors who are trying to completely outsource the matter of digitalisation. There are others who say: now we’ll establish a team and will transfer the classic business one-to-one to this department. In turn, there are others who say: we and our employees are at the stage where this needs to be integrated into our supply chain. What does that mean for us? I have my own personal thoughts on this, but we don’t have a strategy set in stone on this matter yet. Axel Helbig: By implementing microservices, you see an option for meeting the market requirements more quickly. Gunther Hahn: We are responsible for 11 retail brands. Thus far, we’ve digitalised three or four to the extent that we now have access to e-commerce shops. The others are still relatively idle in this area. Then there’s the high level of dynamism and complexity involved in the individual functionalities. If you establish these as standalone services – we call them monoliths – then we would have to establish 11 identical monoliths alongside one another. The result would be an exact replication of each business. If we would then start to think about a concept for establishing various commitments for various trades and for targeting new demographics, each time it would involve the creation of a completely standalone system, which would be extremely laborious. Gunther Hahn: That’s the idea. However, we probably won’t be able to manage everything internally because it’s much too much, and because the digital transition is steaming forward. We will probably continue to rely on the support of agencies, who would then work in more of a technical support capacity, rather than a business development capacity. Axel Helbig: Are there any concrete goals you have set for 2017, including any for your cooperation with us? Gunther Hahn: I see 2017 as a year of preparation for us. In 2018, we will begin with the main project with foryouandyourcustomers. In 2018, we hope to extend our claim of being a market leader to the digital sector, too. And with everything that comes with that: organisation, infrastructure, processes, services, and results.